I provide full-service branding solutions through brand identity assets, collateral, packaging, photography, copywriting and marketing. I can create brands out of thin air, or I can take an existing one and refresh it. I’m a true creative with a passion for making and storytelling. I’ve always been intrigued by the psychology of visual language and how people forge relationships with the products and brands they choose to identify with. My experience and skillset allow me to provide clients full-scope creative that can be implemented across multiple facets of brand development. I’m a Los Angeles native and graduated from Otis College of Art and Design. During my time there I studied under Chair, Kali Nikitas and graduated with a Bachelor’s degree from the Communication Arts Department with a concentration in Art History. After graduating, I was an independent contractor for various clients including A L M Project, an LA based architecture and design agency best known for their clients Sprinkles Cupcakes/Ice Cream, ‘lette macarons and the Chobani cafes. 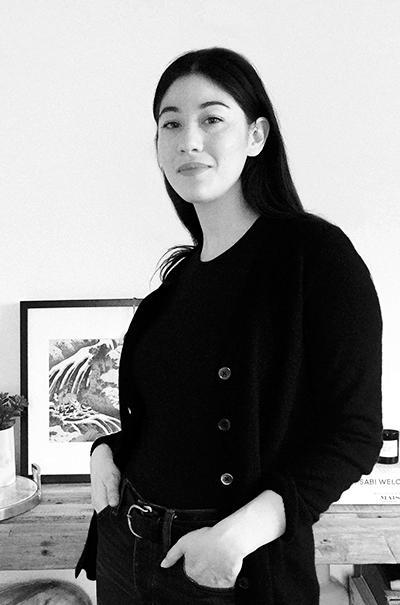 Through networking I then landed a full-time position at HATCHBEAUTY where I spent nearly seven years learning under co-founder and chief creative, Ben Bennett. Starting as a junior designer I grew to become the design departments Creative Director. This experience allowed me to become well-versed in all things beauty from trends, design, packaging, photography and copywriting to how product development works and how to manage multiple, large-scale projects and a team of designers simultaneously. In December 2018 - I decided to go after the dream of opening my own agency and Kiyoshi Creative was established. Well Rounded. Fast Paced. Detail-oriented. Creative and Project Management skills. 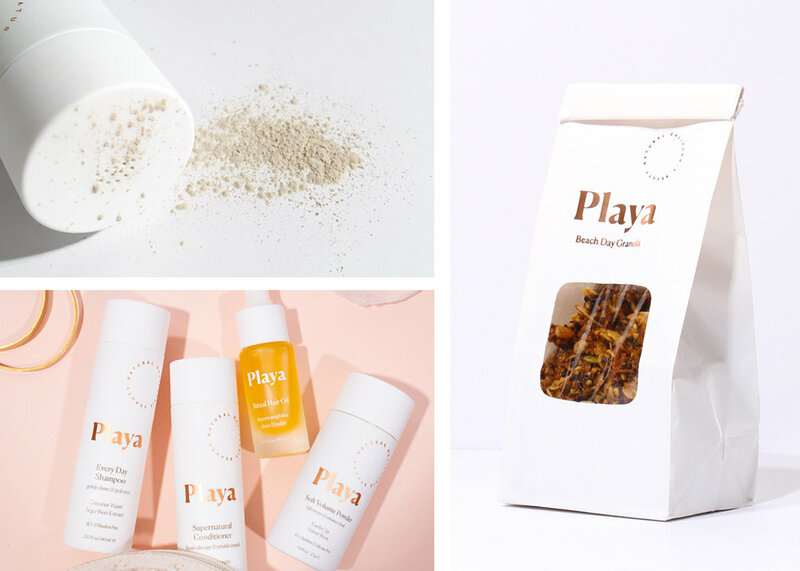 I currently serve as a consulting Creative Director for Playa Beauty in Venice, California and take on consulting projects for various clients including Hatchbeauty. Additionally, I am in the process of a complete visual refresh for an LA based wellness brand who is looking to expand their audience and introduce new product categories to their assortment. This includes a logo update, packaging redesign, assortment guidance, copywriting, new photography and social media management. I have the perspective that, like a chameleon, a designer should be able to shift into many different creative mindsets to deliver work that is appropriate for the client, consumer and or retail environment. I hold great pride in creating visuals that properly communicate the message being told regardless of my personal taste. I believe there is a difference between designing things that have visual relevance and things that only speak to my personal style. My specialty is beauty. I love beauty and its connection to lifestyle and fashion. I would hire them to help keep admin/paperwork work organized and up to date. Relax. Everything will be fine. Do you. I am looking for larger scope projects or consulting opportunities. What I love most about design is the ability to tell a story through multiple channels and looking at a brand with a full scope view. I would also say that working “big picture” is one of my specialties being able to identify and implement multiple forms of visual communication while keeping track of the overall message or goal. An ideal collaboration would be to help a client develop a brand or work on a brand refresh. My experience in the beauty industry and broad knowledge of how to build a brand from product assortment to design and marketing allows me to provide clients input and guidance in multiple areas of the project’s development. Depending on the scope, duration and overall demands of the project, rates will vary. + Hourly rate is not ideal or economical due to the type of projects I wish to take on. + Part time consulting contracts at 6 month minimums. Fantastic photography skills. High profile clientele. Vibrant personality. Broad ranging creative talent. Organized and reliable. Calm and Collected. Beautiful retouching capabilities for high profile clients. Clear Communicator. Reliable. Email or Instagram is the best form of communication. Please include name, agency or brand, and a brief description of how you would like to collaborate together and we can start a conversation from there! See the potential in everything. This member profile was originally published in January 2019.